So far, so good. NO RED TIDE! The only dead fish, clients are seeing up my way are in my FISH BOX! The red tide algae bloom that has been plaguing the shores of Southwest Florida for months is slowly moving north. By early August, massive fish kills were being reported at Anna Maria Island and by week three, low concentrations of “Karenia Brevis” have been detected off the southern tip of Pinellas County. 08-28-18 Red Tide Status Update: Low to medium concentrations of “Karenia Brevis” have been detected just off the coast of Pinellas County. Higher levels have been detected 10 miles offshore. The good news, as of now it’s all moving out to sea. Back in January of 2005, a small patch of red tide was spotted about 20 miles due west of St. Petersburg. Six months later, the toxic bloom left scores of dead sea life all along the shores of Pinellas County. The bloom was so intense, it even made its way up into Tampa Bay as far as the southern point of Weedon Island. I know, because I was running all my charters in the upper Tampa Bay region. The bloom finally disappeared in February 2006. We, along the Pinellas Suncoast, can only pray that this devastating phenonium remains offshore and dissipates. Other than that, the fishing in upper Tampa Bay is outstanding. Mangrove snapper are feeding like it’s their last meal and for many, it is! All it takes is a decent tidal flow and a little chumming to bring them to the surface. After that, it’s just a matter of dropping a bait for an immediate strike. Anchoring and chumming excessively over structure, up tide of a bridge or near a marker, will often be pleasantly surprised at the variety of species you’ll encounter. Not only will you attract mangrove snapper, but Spanish Mackerel, Jack Crevalle, bluefish, sharks, ladyfish, cobia and the occasional tarpon will show up. However, this doesn’t happen by accident. You must chum, chum, and keep chumming. This is key to success when I’m fishing the grass flats for snook, redfish and sea trout also. The only difference is, when I’m chumming deep water, it’s mostly with fresh cut-bait. In the shallows it’s primarily, live-bait chum. All this rain and warm water temperatures has slowed the snook bite a bit, but on days with a good tidal flow first thing in the morning, it hasn’t been all that bad. It just takes a little extra chumming to get the action going. As for redfish, they’re starting to be a little more predicable lately. At least now, when I target them around certain oyster beds, I can expect them to be there. Then again, some days I really must chum excessively to get them to eat. Bottom line. This time of year, fish can get very lethargic due to the sauna like conditions. But, if you have your live well loaded by 7am and chum non-stop all day. 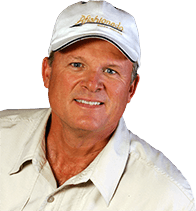 You will dramatically increase the amount and quality of the fish you catch. Featured Photo: The only dead fish, clients are seeing up my way are in my FISH BOX! 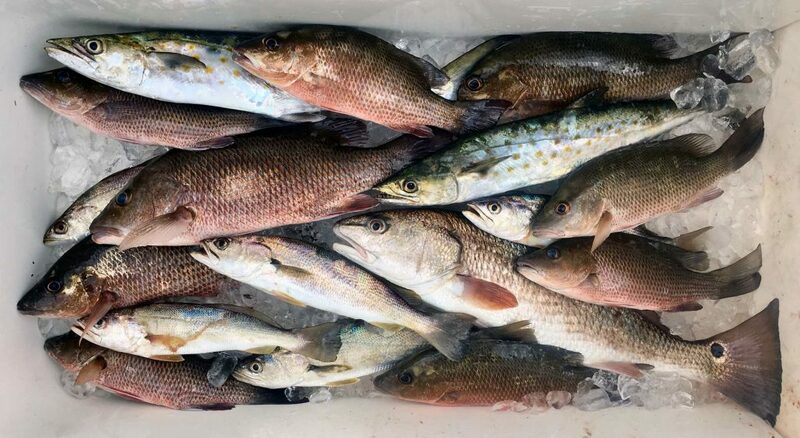 Here’s a typical summer mix of mangrove snapper, Spanish mackerel, trout and redfish. https://www.afishionado.com/wp-content/uploads/2019/01/no-red-tide.jpg 1052 1920 swjiv https://www.afishionado.com/wp-content/uploads/2018/03/afishionadoheader2.jpg swjiv2018-08-23 01:04:252019-01-15 01:08:04So far, so good. NO RED TIDE! Flexibility is The Key to Success! The Snook Harvest Season, Re-Opens Today.